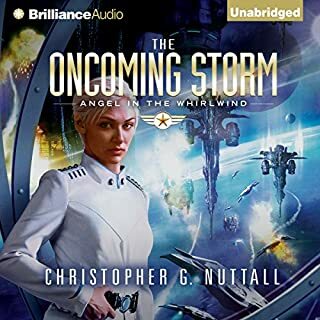 The story is about a soon to be decommissioned legendary star carrier and the tumultuous event that occur to her as soon as a new Commander, Air Group (CAG) reports for duty. After a too long (1/3+ of book) backstory buildup to size up the primary characters, the carrier enters into its first battle with pirates. 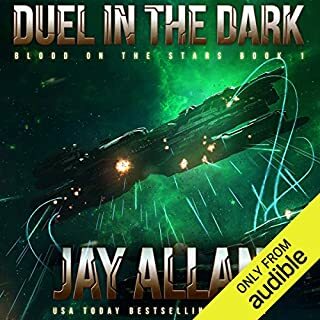 Then, within a few weeks it encounters a couple of battles with an opposing fleet. In every battle, the underdog Avalon and its crew wins each battle using boldness, guile and space age legerdemain. Unfortunately, this battling technique is over-done to a point of lightly touching the farcical. The Good: The writing was and narration were both done well. The Bad: Too much time is spend on the love relationships between the various characters to the point of being distracting to focus of the novel. Also, the new CAQ ends up going from commander, to XO, to Captain within a timespan of a few weeks. Lastly, there was an overuse of 20th century idioms which gave those sections a cliche-ish feel them. Would you recommend Space Carrier Avalon to your friends? Why or why not? 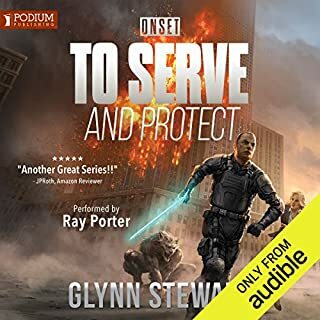 This is the first time I've listened to a book by Glynn Stewart. I liked the action, the pace, and a few surprises. Having the Date, Time, and location included with every scene change become very tiresome. I was in the military and I understand the purpose. But it took away the enjoyment of the story. The other issue are the sexual encounters. The detail was unnecessary. The story at times sounded a little like soap opera. 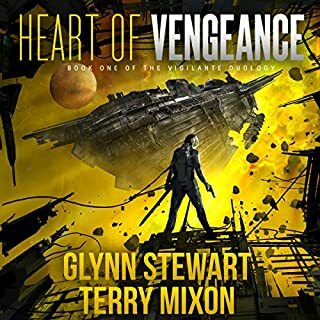 Overall a good story, I might listen to another Glynn Stewart book depending on the reviews. The performance was nothing short of superb! The narrator's delivery and voices were a pleasure to hear. The separation of character voices is impeccable. I think he could bring a dictionary to life! So why only 4 stars? The segues giving date ,time, earth standard meridian time /date statement, the call number of the ship, the ships name the location within the ship and often more nearly every time anyone walked through a door was almost unbearable! If I had been reading instead of listening I would have ignored this litany every time! I actually began to resent the author after a while for wasting my time and interrupting my train of thought I will listen to other works of his but not if he continues to use the same segue technique. 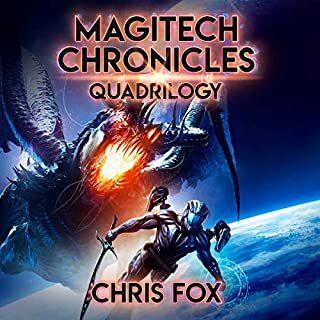 When you consume a lot of scifi, it's inevitable that any new titles end up being defined as "the tech from X", "the characters from Y", and "the story from Z". 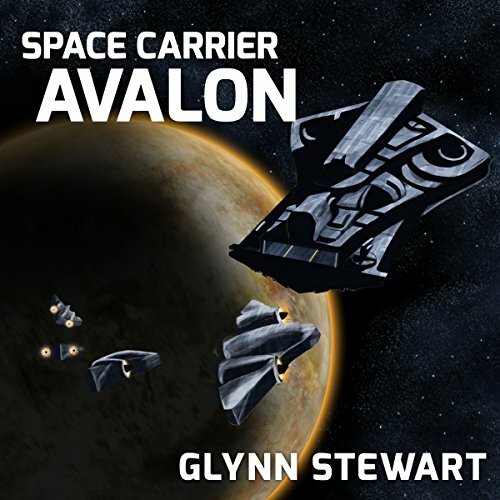 Space Carrier Avalon however shows that that's not necessarily a bad thing, and in some cases, that sense of familiarity lures you in just far enough that the twists actually do surprise you. 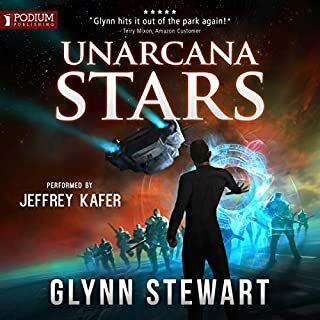 Despite being the first book in the series, the universe seems well established here. The tech is believable, balanced, and seemingly established before the story was written - shaping the latter in certain ways. The characters are also well-developed, and while they are familiar they certainly stand on their own. What perhaps surprised me the most about the book was that it's essentially a story I've heard a few times before, but polished to the point it feels new. 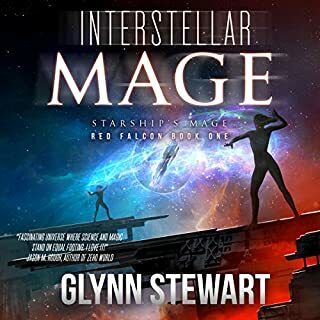 If someone were to give you the premise and the status of the Castle Federation universe at the beginning and end of the book, you would likely assume you knew the parts in between, but you would also likely be wrong. 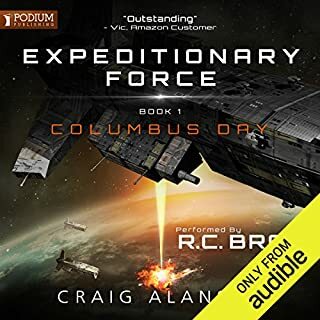 All in all, I truly recommend this book to those who like military scifi but who feel it should be based in a recognizable and science-based universe. Amazing as always from this author. These stories are always amazing. 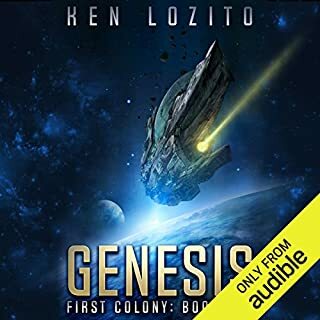 This is one of few authors I make time to read with my eyes, but audiobook is better. What did you love best about Space Carrier Avalon? 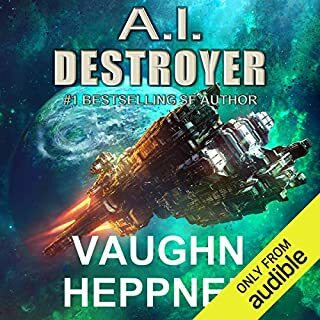 Author does an excellent job of building his characters, equipment and science. It is believable, and he apparently did his homework regarding the physics involved. 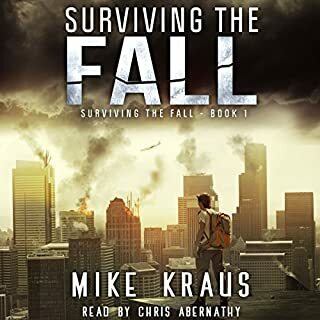 Unlike some reviews, the descriptions of characters physical appearance helps to build a picture of what they look like, as well as what is going on when things start getting rough. Very well thought out, original work. I highly recommend it to anyone liking good, well developed storylines and characters. 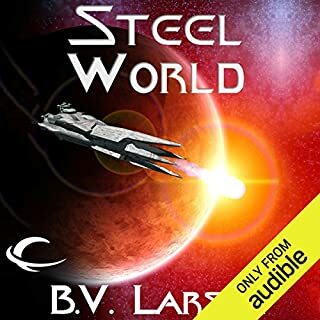 Author develops his characters and the social structure of 800 years in the future, and doesn't make it an issue or "preaching". He simply has extrapolated what goes on today to a future society. That is all a good sci fi writer can do, and is right along with Heinlein's work. Outstanding story teller, all the characters are unique, clear, and his females are feminine, and males are males. There is no confusion as to who is speaking, and what is said. No, just enjoyed a well written story that was very well read. Excellent series, will love to see it continue. What made the experience of listening to Space Carrier Avalon the most enjoyable? good pacing, and EXCELLENT ending! The overall plot was somewhat predictable but, aren't all great stories like that? Very well narrated. The action was well described. This book lays the foundation for many more. I can't wait! slow and very progressive story line. Please just write good sci-fi stories without putting personal sexual preferences and religious condemnation. TIRED of this! 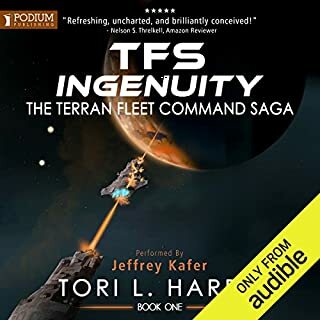 It is very good, fast paced, enjoyed it, had to listen to it till the end, even after I stopped driving. 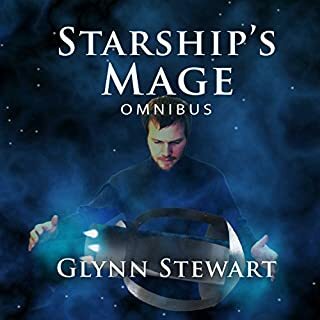 Good story easy to listen to some plot twists and characters you want to know more about. Well narrated good pace and tone of voice. The only problem I have is it feels like it starts half way through a longer story. 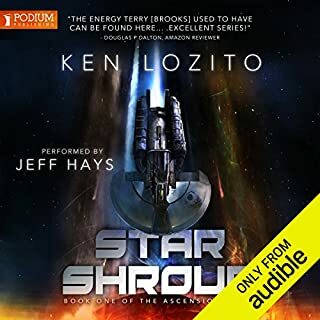 It is possible this series follows a story I've not listened too this doesn't hurt the story or plot in anyway. 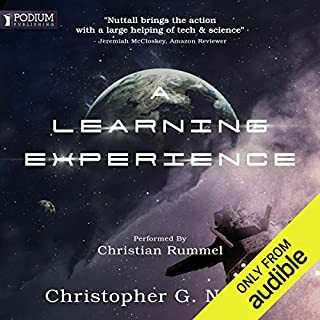 This was my first audio book and I was pleasantly surprised how easy it was to listen too. 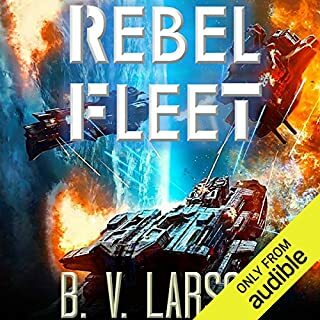 I have read all the castle federation books which I really enjoyed, the audio version with its excellent narration felt like it was discovering the books for the first time. This could have been really good, apart from the irritating dialogue every few minutes telling everyone date, time, location ..... every few minutes!! Why did the author find it necessary to include this repetitive dialogue which, in my opinion, only served to interrupt the plot every few minutes and irritate the hell out of listeners. Hence the reason for my rating. 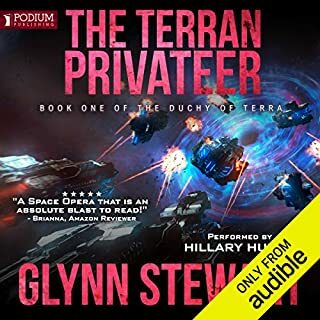 Where does Space Carrier Avalon rank among all the audiobooks you’ve listened to so far? Very high among Scifi books. The reader did a fantastic job with the material. I had never ever heard about the author, but he jumped to number two or three on my top list. The CAG. Simply put perfect! Every scene on the Avalon. Cause the fealing the author managed to create. As the title states this feals like BSG of books. Very gripping story. Allready bought the next two books in the series! A must do.